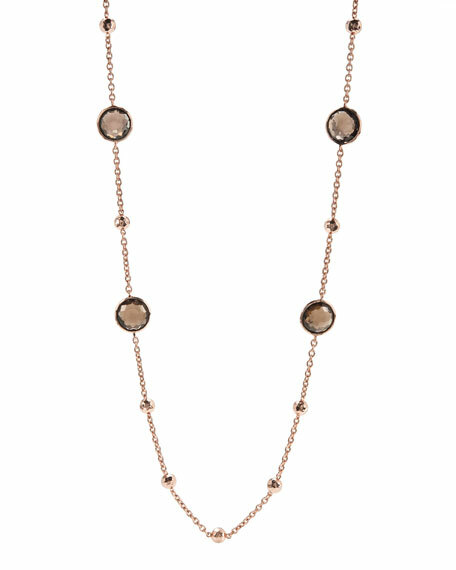 From the Ippolita Rosecollection, this lollipop quartz necklace offers a low-key alternative to by-the-yard styles. From the Ippolita Rose collection. 18-karat rose gold and sterling silver. Small round links on chain. For in-store inquiries, use sku #182070.